As a 10 year old Steve Perkins made a list of what he would do as a classroom teacher. 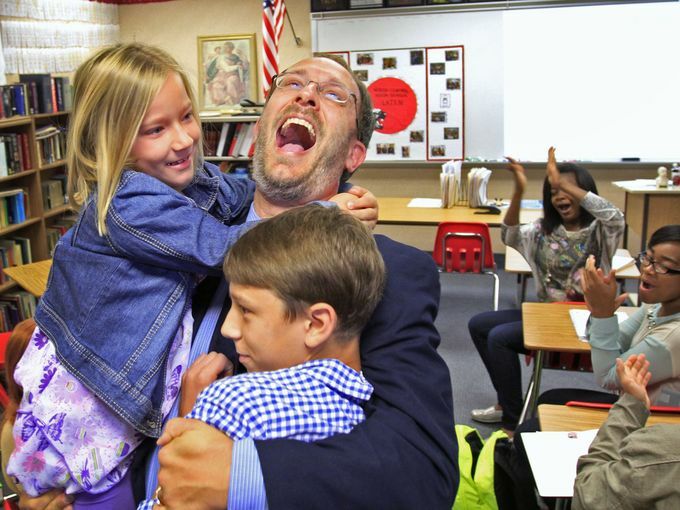 Thirty-five years later, Steve Perkins would become the Indiana State Teacher of the Year. Steve discusses his Top 10 list on The New Teacher Podcast. 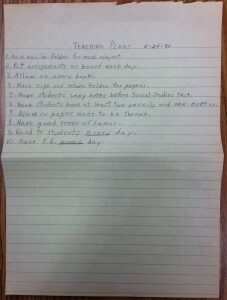 On May 24, 1980, I jotted down my top ten list of things I wanted to do as a teacher. It was the end of my 5th grade year, and I did not want to forget the ideas I had formed in Mr. Neal Lang’s class at Slate Run Elementary School.